ABC/Lou RoccoRihanna apparently is still looking for the right material for her long-awaited eighth album, which is due out later this year. The project’s first single — “FourFiveSeconds,” featuring Kanye West and Paul McCartney — reached #4 on the Billboard Hot 100; but “American Oxygen” only made #78 on the chart and “B***h Better Have My Money” topped out at #15. Now a British tabloid claims the singer is scrambling to create an “edgy” sound for the record. While it’s unknown how many track she’s completed so far, it’s evident that Rihanna is taking her time with her project. 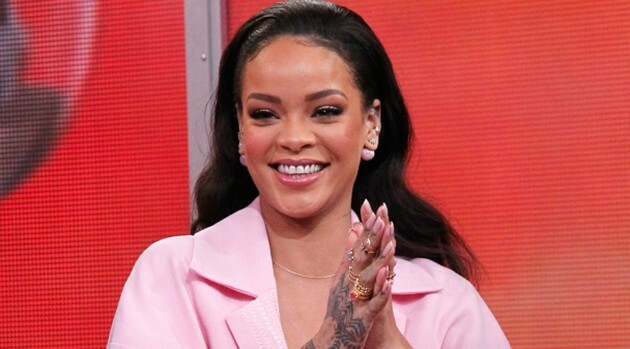 “Rihanna wants another vintage album like Rated R and won’t put anything out until she’s happy,” the source says. Back in June, we learned that Rihanna‘s camp contacted several reggae artists like Kranium and Brooklyn producer Dre Skull to incorporate dancehall elements into her next studio work, which is also said to boast contributions from her Roc Nation labelmate J. Cole and executive producer Kanye West.